But look again. Do you see that red line along the ground? 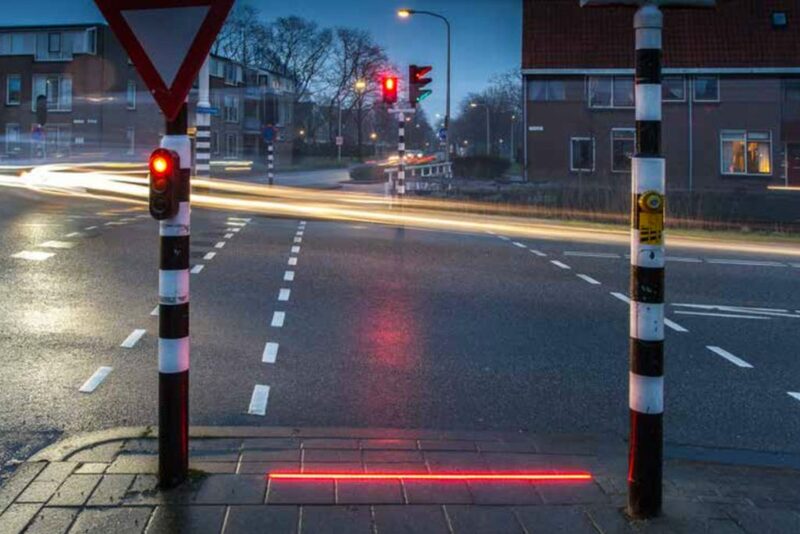 That red strip of LED lighting is the central component in what’s called the +Lightline project, and it’s the work of a Dutch Transportation firm called HIG Traffic systems. When the intersection is clear to cross, the light is green. When it’s not safe to walk, the line is red. Now, why would it be there? You’ve already got two bright red stoplights indicating that pedestrians should wait at the corner to all allow traffic to clear. The answer: The line is there because there are many people walking along the sidewalks of Bodegraven who never see those stoplights. They’re too busy working their cell phones to look up. The installation of the +Lightline system is a concession to the new reality: people may never again lift their eyes from their mobile devices. Municipal leaders have concluded that the best that a local government can do is simply alert people to the danger; asking them to put away their phones during their morning strolls is an exercise in futility. As a pastor, I wonder about what the 21st Century Church ought to concede. In particular, are there things happening in the world of technology to which the church must adapt? Are there certain concessions that Christian congregations simply have to make in light of society’s new digital connectedness? I’d like to turn that question on its head for a minute. In a world that seems filled with concessions to the onrush of digital life, what things should never change about the church? Upon which matters should you find communities of Christians fighting tooth and nail to stay the same? How can churches maintain their identities even as culture morphs and modifies?  Four concepts – four convictions – come immediately to mind. First, the church will not choose efficiency over endurance. We will not sacrifice the long, important game, for the immediate rush. This is odd thinking in the digital age. Technological progress is largely about doing more stuff in less time. It’s about speed and productivity. What’s the best reason to upgrade from an iPhone 8 to an iPhone X? You get a quicker processor. Why use a Bible app like Youversion instead of flipping through Grandma’s dusty old King James? Because you can find things faster. It’s about speed, speed, speed. But nowhere in the Bible do we find a commandment to go faster. “Efficiency” is not a scriptural value. Agreed: there’s a lot in the Bible about going further – we’re called to walk the extra mile and to live earnestly and to make the most out of every opportunity – but apart from a couple narratives about Elijah and Philip (men who were apparently given temporary nitro injections so they could outrun chariots!) there’s nothing in the Biblical witness nor in established Christian doctrine about being the fastest. So here’s Jesus: He’s been crucified and he has been raised and now he’s with his disciples, and it is so easy for me to imagine this event like Jesus is driving the school bus and the disciples are in the seats behind him saying “Are we there yet? Are we there yet? How about now? How about now? How about now, Jesus? Now? How about now?” They wanted to get going right away. They wanted speed and efficiency. Max impact, minimal time. Being a disciple of Jesus is not about efficiency, it’s about remaining faithful day after day, opportunity after opportunity, despite adversity after adversity. The Bible – Genesis to Revelation – is an anthology of remarkable things. It’s a record of mysterious moments and transcendent encounters. From Jacob at Bethel to John on Patmos, Scripture is about heaven breaking into earth, about angels and wonders and people staring slack-jawed at God’s mighty acts. It’s about having your understanding of the universe remapped in light of unfathomable beauty. But wonder is not a value of the digital age. Recently, I heard a pastor speak on the challenge of preaching to people who are disenchanted. In other words, they aren’t enchanted. They aren’t amazed by anything or captivated by anything anymore. They believe only what can be fact-checked. One of the more remarkable aspects of digital living, especially among Millennials, is the “Second Screen” experience. The second screen experience is what happens when people are watching TV or a movie or something on a large screen over here, and they are at the same time noodling away on their phone or their tablet. According to a recent survey by a TV programming polling group, 92% of Millenials actively engage a second screen while watching television. Of this huge group of two-screen viewers, 47% are actually looking at something entirely unrelated to what’s on the big screen – now, this might be a real good clue into why we live such scattered and disjointed lives. But it’s also the case that the other half of people who are using two screens are actually looking for more information about that show, or the actors, or the story behind the filming, on their phones and tablets. They are fact-checking as they watch. But here’s where it gets real interesting: According to a recent Gallup study, one of the main ways that millennial Christians are using technology is to second-screen live sermons. They are fact-checking what pastors are preaching. Does this make preachers like me nervous? Maybe a little bit. But probably not for the reasons that you think. I’m not really worried about “gotcha” moments. I’m happy to have people hold me accountable for my words; I know I’ve misspoken in the past and will again in the future. For crying out loud, my wife will let me know over Sunday dinner. That’s not what worries me. What worries me is that in coming days, the only things that will matter to people are the things that are cross-checked, lab-verified, and objectively corroborated. But there are some things you can’t fact-check: Peter’s vision at Joppa. Gabriel’s announcement to Mary. You can’t go to Wikipedia to see if something was a good prayer or if a sermon was moving. The witness of the church has always been that supernatural things happen in the presence of God. Mighty acts take place, signs and wonders break forth. And we will continue to testify to that stuff happening here among us today. A world filled with the presence of the Triune God is beautifully abnormal. Christians believe that the world is enchanted. It is enchanted by a royal king and a heavenly court. That’s why we love it. Number 3: The church will not be a place that runs on comment sections when we are called to trust the author. If you’ve read any amount of articles online, you know that you rarely come across a piece of new material without finding a comment section at the bottom of the page. This is where you are invited to talk back, react, add to, or contest what the author has written. Some theorists have called this editability. Everything is up for grabs. There is no such thing as expertise anymore; even the wisest and most thorough efforts are subject to scrutiny by anybody who logs on and weighs in. In dark days in her history, the Church has been marked by a rigid, our-way-or-the-highway attitude. This is how we get to things like the Inquisition. And we never want to go back there. But at the same time, communities of faith do believe that there is authority that comes from Jesus and from the Word of God. In John 14:1, Jesus says to his disciples,Trust in God, trust also in me… If it were not so, would I have told you that it was? In a world that is saturated by skepticism and chatter, we recognize that the church has a Lord, and that we are called to believe him and follow him. French author Pierre Babin identified one of the core values of the internet age as “Belonging over Content.” What Babin suggests is that in the internet age, it is important to participate, to weigh in, even if you have nothing good or relevant to say! Ours, the Age of the Comment Section values participation over insight. The is not that you have something worthwhile to say, it’s that you feel like you belong in the discussion. But as Isaiah preaches in chapter 30, sometimes we gain strength by being quiet and trusting. Sometimes, blessings come from repenting of the kind of arrogance that keeps sending you to your keyboard in a huff. Churches run on trust, trust that ultimately flows from our Lord and Leader, Jesus. Then, number 4: the church will not value novelty over satisfaction. What’s novelty? It’s the idea that only what is recent, new, and updated to the latest firmware is worth having. The world of commerce and advertising operates on the assumption that you, the consumer, think this way. Churches must be aware of what’s happening in culture. We don’t want to be irrelevant or out of touch when we could be more effective in our mission. But the church does not function on trends. We realize that always wanting what’s newer still leaves us in a perpetual state of panic and discontent. How much of our culture is aimed at making us thirsty without ever providing the satisfying drink? We will not choose what is new over what is deep or what is trendy over what fulfills. The church’s witness and ministry is not like the registration sticker on your license plate – either new or expired. We draw on something eternal, something lasting, something that satisfies. In all of these things the church is fighting an uphill battle. But it’s a battle we believe is worth fighting. The digital world needs the church. As we look at our world, we see a place with more speed than ever, but with less time than ever. We see an increase in wealth and a decrease of richness. We can see farther than ever into outer space, but have no opportunity to take stock of our inner space. There is a surplus of content on which to binge but there remains a famine of truth to make us full. We have enormous buildings, boats, and bank accounts, but we feel small. Our phones can recognize our fingerprints and retinas, but we can’t identify ourselves most days. The church is a community attenuated to eternal truths. There are some things we cannot and must not concede. We are on a sacred journey with Jesus. He came to bring everlasting life – not through cheap tricks or slick Powerpoint Presentations, but by laying down his own life. Despite experiencing all of the temptations you and I experience (Hebrews 4:15), he maintained a long obedience in the same direction. Then, at the cross, he died on the least efficient execution device the Romans could concoct – a piece of technology aimed at maximum agony before death. At Calvary, with crowds gathered to weigh in, to hurl insults, to make fun of his kingly face, like a sheep before her shearers is silent, he did not open his mouth. There was nothing more to say. As concessions abound – and as the church gradually employs more digital resources in her work – it is critical that there remain some values too precious to digitize. It is never about speed or trend; Christian ministry is an investment of life, relationship, and obedience.